The chocolate nut liqueur of soft creamy consistency Chocotella prepared only on the basis of natural components, grain alcohol and artesian water of our own well, condensed milk and powdered chocolate Milka. It is characterized by bright chocolate taste with a gentle shade of hazelnut. Moderate alcohol content makes its taste soft and chocolate aroma so expressive. Chocotella is a combination of excellent taste qualities and contemporary design developed in Italy. The bottle is "dressed" in film using the technology of "sleever". The liqueur has become quickly very popular in Poland and has been already appreciated by its merits in the Czech Republic, Slovakia, and Latvia. Now Ukrainians can enjoy it as well! Trademark Chocotella is produced by the Polish company Vinpol. The Kiev Sparkling Wine Factory "Stolichny" is the official importer of the European alcohol in Ukraine since 2007. The enterprise has got this status since entering into the group of companies – producers of sparkling wine Henkell&Co. Gruppe. 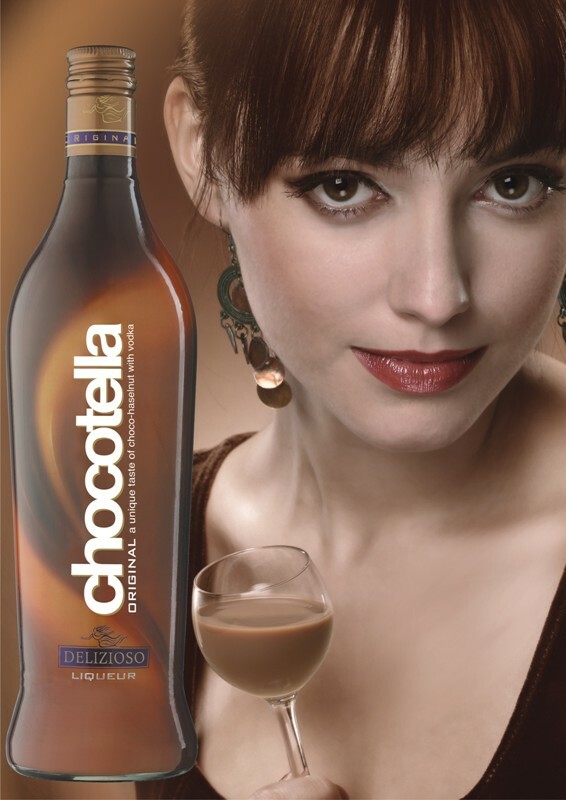 Chocotella liqueur is magnificent both in pure form and as a part of various cocktails, as well as a sauce for desserts. Seducing beautiful aroma and full, natural taste will take you to the world of chocolate fantasy.